Old Jets Logo Was Cool…Like Kevin Arnold. I always thought Kevin Arnold was the coolest. He had Winnie Cooper, but more importantly, he had that vintage New York Jets jacket. Kevin Arnold Had Winnie Cooper…and That Jets Jacket. So Cool. comedy/drama that was “appointment TV” for me from 1988-1993. Well before Netflix or Prime, I made sure I was in front of a TV when it aired each week. Back then, the only thing streaming were tears…each time an episode’s moral tugged at your heartstrings. Change was a central theme of the story that took place during the turbulent late 60s and early 70s. There were political changes, social changes, and tons of personal changes that Kevin experienced over the show’s 6-year run. Through it all, one thing remained constant for Kevin. I loved that jacket. There was something so endearing about it. The Jets have never really had a place among pop culture. Their players didn’t star in commercials. Musicians or rappers never performed in Jets jerseys or caps. The Jets were never even the most popular football team in their own city. Yet, there was the star of a primetime network hit wearing a Jets jacket every week. Joe Namath – Super Bowl III. Super Bowl III. It was the same emblem Joe Namath wore the day he wagged that finger and delivered a Lombardi Trophy. Namath was always so cool. With that Jets logo on his jacket, so was Kevin Arnold. As it turns out, Broadway Joe will be the only quarterback to ever win a title with that logo on his helmet. Later today, change is coming to the New York Jets. At 7:30 PM, Gang Green will introduce a new uniform and logo. It will be the team’s first wardrobe change since 1998. That’s when Bill Parcells pulled a Marty McFly and went Back to the Future – bringing those famous Super Bowl III jerseys back. They wore the throwbacks for 21 seasons, but could never repeat what Namath did. Vinny Testaverde got close, once. Mark Sanchez had two shots at immortality, but came up short. Even Chad Pennington made 3 playoff appearances in those Namath-style threads, but his ring finger remained bare, like the Jets trophy case over the last 50 years. Maybe change is good. Perhaps a new identity will turn the tide, improve karma and provide some positive feng shui over in East Rutherford. With a new head coach and two young cornerstone players in Sam Darnold and Jamal Adams, this feels like the right time to move forward with a renewed identity. Sam Darnold Wearing Old Jets Logo. Still, there’s something special about continuity and tradition. I watched Derek Jeter win five World Series in the same uniform my dad once watched Mickey Mantle win in. Now, my daughters see Aaron Judge try to do the same thing. The generations change, but the pinstripes never do. There are rumors, and unconfirmed leaks on Twitter, that suggest this Jets update will maintain some elements of the old logo. I’d like that. We’ll know for sure after tonight. If I can’t have that classic logo, or Winnie Cooper for that matter, I’ll take a Super Bowl victory in whatever uniform they trot out tonight. Even cooler than Kevin Arnold. That’s how long it’s been since the New York Jets won a Super Bowl. Hell, that’s how long it’s been since they even appeared in the big game. Today marks the 50th Anniversary of Super Bowl III. January 12, 1969 is this team’s identity. It’s the defining moment in their franchise’s history and it happened 50 years ago today. Parcells Took Over in 1997. Gase Gets His Shot in 2019. Imagine being best known for something you accomplished a half century ago. When will the narrative change? Well, it’s been 22 years since their last, best chance. In 1997, after winning just 4 of their previous 32 games, the Jets hired the coach they thought could rescue them from irrelevance and completely change everything. This week, they did it again. Tuna then. A Dolphin now. There are a lot of similarities between what Bill Parcells faced in 1997 and what former Miami Head Coach, Adam Gase is about to take on. Both inherited a floundering Jets franchise in desperate need of a new beginning. Parcells’ rescue mission followed the team’s historically horrible two-year run from 1995-1996. He began the makeover in his second season by introducing new uniforms. He brought back a modern version of the team’s jerseys worn between 1964-1977, a tribute to that only Super Bowl team in franchise history. Next, he added a ton of new players. Game-changing players. Names like Curtis Martin, Kevin Mawae, Keith Byars and Bryan Cox. They brought a new attitude and gave the team instant credibility. Finally, he found a top-level Quarterback. Vinny Testaverde arrived, leading the Jets to a Division Title, a 12-4 record and a trip to the AFC Championship Game. Though they fell one win short of a Super Bowl appearance, the team had clearly turned a corner. When Gase is introduced as the new HC of the NYJ on Monday afternoon, he’ll also inherit a team coming off a historically horrible run. Over the last three seasons, they’ve won just 14 of their previous 48 games. Sam Darnold Hopes To Be First Jets QB Since Joe Namath To Win a Super Bowl For Jets. Like Parcells, Gase will attempt to change the team’s identity. New uniforms are coming this spring. With the third overall pick in the 2019 NFL Draft, and close to $100M in cap space, Gase and GM Mike Maccagnan must find new, game-changing players like Parcells once did. Lucky for Gase, he’s already got the QB in Sam Darnold. Both Parcells and Gase took over Jets teams at pivotal junctures in franchise history. They were both hired by questionable ownerships with limited football knowledge. Gase also takes on an angry, skeptical fanbase who is tired of losing, just as Parcells did. Parcells was able to quickly flip the script and almost get that elusive second Lombardi Trophy for the Jets. Now Adam Gase has his chance. If he does, according to acting owner, Christopher Johnson, he’ll be a “Freaking Legend.” It’s been a freaking long time since this team had any real legends to celebrate. Fifty years, to be exact. Darnold Gives Jets Fans Like Me Hope. Thursday night, I left the Meadowlands with a win. I’ve walked out of there many times through the years. This time felt different, though. Inside, there were no passes thrown, no yards gained and no touchdowns scored. My team gained no ground in the standings either. Sam Darnold – Drafted 3rd Overall By The Jets. I still left with a win, and it was unlike any victory I’ve experienced in that stadium, or the old one. I won because I left with hope. Like, long-term hope. Like, hey, I might have several years of meaningful football ahead of me kind of hope. Maybe even a decade of hope. Maybe even more. Thursday night, I left the Meadowlands after the New York Jets selected Sam Darnold with the 3rd overall pick in the NFL Draft. I was there, watching along with other Jets fans, at the team’s 2018 Draft Party. When Darnold put on that crisp Jets cap and held up that green jersey, he immediately became the most promising prospect to play Quarterback for the Jets since Joe Namath left forty years ago. He was not expected to be available for the Jets to select. Like so many of the games I’ve watched in that Stadium, I felt Darnold was just a little out of reach. Too good to be true. Not meant-to-be. Somehow, as I watched inside MetLife Stadium, Darnold, arguably the top Quarterback in the draft, miraculously fell into the Jets lap. This sort of thing doesn’t happen to the Jets. Ever. This is a team that finds a way to lose, even when they win. Not this time, though. I’ve waited a long time for this. I had a Ken O’Brien jersey as a kid. I traded that for a Boomer Esiason uniform. Browning Nagle and Glenn Foley were teases. I never bought into Neil O’Donnell, but I fell hard for Vinny Testaverde and Chad Pennington. Mark Sanchez brought me closer to a Lombardi Trophy than anyone since Vinny…twice. Ultimately, he had the rug pulled out from under him. Brett Favre was a gimmick. Tim Tebow was a distraction. Geno Smith was never the answer and Ryan Fitzpatrick was a bearded bridge to nowhere. So many different Quarterbacks through the years. Some showed the promise to rise above the ineptitude that has so often hampered this organization. All of them ended up sinking, one way or another, deep into the swamps of Jersey. Unfulfilled potential. Unfortunate injuries. Undermined by management. Unbelievable misfortune. This is different. Landing Darnold is a franchise-changing victory. Sure, he could be a bust. He could turn out to be just another name to add to the list of failed Jets Quarterbacks. We won’t know that for several years. But, what if he succeeds? What if he’s a true Franchise Quarterback? What if he leads the Jets to the playoffs? What if he gets one of those Lombardi Trophies? What if he gets more? What if he has a long, historic career for the Jets? Like, a 10-12 year career? My daughters are in 2nd grade and pre-school now. What if Sam Darnold is still the Quarterback of the Jets when they’re in college? What if? Darnold Introduced to New York. That’s what makes this pick a win. A conquest so different than all the others I’ve seen through the years in East Rutherford, NJ. It’s the hope. It’s the optimism. It’s the faith and belief in my team that I’ve lacked for far too long now. Sports fans need hope. Without it, what’s the point? Why spend the time or the money? Without hope, rooting for a team becomes a robotic ritual. Passionless and pointless. I want my Sundays in the Fall to matter. I want to trust in a process and be confident in a plan. The last few years, I’ve watched this team with indifference. There seemed to be no strategy for the future. Drafting Sam Darnold changes that. Drafting Sam Darnold gives me hope. For me, that’s a win. Jets Waste Opportunity. “Nick & Brick” Window Now Shut. Today, the Jets look towards the future without a very important piece from their past. Mangold’s Jets Career Could Be Over. Bryce Petty gets his second start at quarterback just days after the team placed center Nick Mangold on season-ending injured reserve. The move could signal the end of Mangold’s 11-year run with the Jets. Even if he returns, this season’s injury woes proved that his best days are behind him. One of the most dependable and talented centers in NFL history, Mangold has only one season left on his contract. He’ll turn 33 next month, and will carry a large salary cap charge of $9.1 million into 2017 – both reasons why the Jets could decide to move on. If they do, it would be a wasted opportunity for a franchise that wastes a lot of them. In 2006, the Jets drafted Mangold, and left tackle, D’Brickashaw Ferguson in the first round. Over the next decade, they would anchor a dominant offensive line and stabilize the team’s core. In all that time, the Jets failed to find a true franchise quarterback for them to protect. It’s been almost 50 years since Joe Namath wagged his finger atop football’s highest peak. The Jets haven’t been able to replace him since. Perhaps most frustrating of all – the star-crossed franchise wasn’t able to do so within the 10-year “Nick & Brick” window. Imagine a baseball team boasting an elite pitching staff, all healthy and in their prime, but unable to secure any top hitters to score any runs. Aside from quarterback, a center and left tackle are arguably the most important positions on a football team. The Jets haven’t had to worry about filling those holes for a decade now. Before this season’s ankle issues, Mangold had been a rock at center, going to 7 Pro Bowls and missing only 4 games over his first 10 years. Ferguson retired in 2015 after a 10-year career with the Jets. He went to 3 Pro Bowls and played in all 160 regular season games, only missing one play. One play! The only thing more reliable than these two has been the team’s lackluster play at quarterback. The Jets thought they found their man in 2009 when Mark Sanchez took them to the first of back-to-back AFC Title Games. That was as close as they would come, though. Sanchez fizzled and the search continued. Today, Petty gets his shot. It’s too early to tell if he’ll be the answer. Taylor Swift, you were wrong. We Are Never Ever Getting Back Together? Think again. Darrelle Revis returned, in Style, to the New York Jets on Tuesday night after short pit stops in Tampa and New England. He signed a 5-year, $70 million deal with $39 million fully guaranteed. Gang Green fans, punished for the last two miserable years, can Shake It Off now that they get their favorite toy back. Revis Returns To New York. Welcome (back) to New York. It’s been waiting for you. Jets fans are good at waiting – they’ve been waiting 47 years for a Super Bowl title. 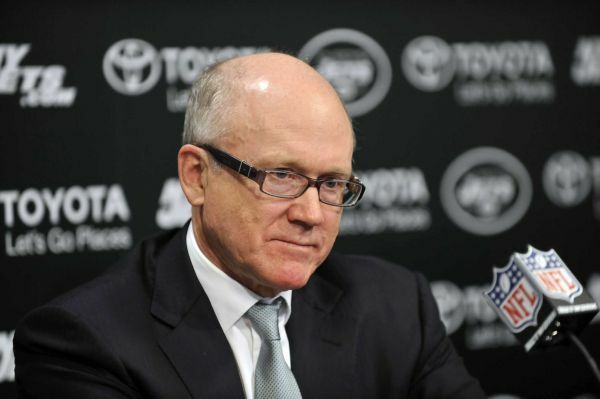 They waited two long years for owner Woody Johnson to awaken from his frugal slumber. They also waited for him to rectify the mistakes made by his former general manager, a man more concerned with counting pennies than title rings. With his green and white hat in hand, Johnson acknowledged the missteps of the previous regime. Revis is not 22 anymore, but at age 30, he still deserves to be paid as the best corner in the NFL. Woody gave him what he was asking for. He couldn’t save money, but at least he saved face. Two years ago, while traveling down the road to ineptitude and indifference, Woody and the Jets decided it was best to rid themselves of the future Hall of Famer, rather than pay him. They knew Revis created problems for opposing quarterbacks, but overlooked the Blank Space he left behind upon his departure. If Rex was upset when Revis was traded, he’s got to be hotter than a basket of wings now, watching this Revis Reunion from his new coaching perch in Buffalo. 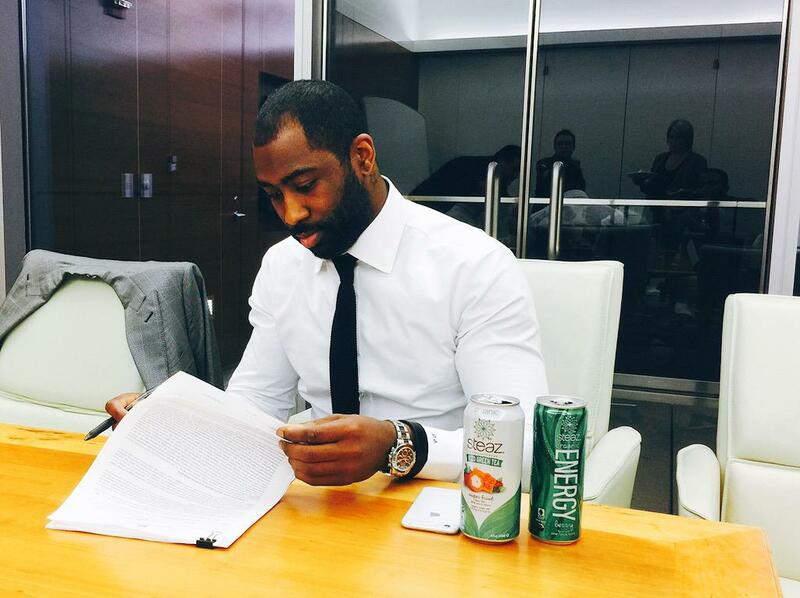 Revis Signs New Jets Contract. Rex may feel Revis’s return to New York is a Mean twist of fate, but the fans he left behind are elated. They realize it was Woody’s wallet, not Darrelle’s heartstrings, that pulled him back to New York, rekindling this Love Story. They also recognize that it doesn’t matter why he came back. The only thing that matters is that he did. The move restores credibility within the organizational hierarchy and returns Revis to the place where he was drafted in 2007. In all likelihood, his Super Bowl victory was The Last Time he’ll play in any other teams’ uniform besides the Jets. Gone two years ago, Everything Has Changed, and he’s back Safe And Sound in New York. Can his presence alone get the Jets Back To December with meaningful games to play? 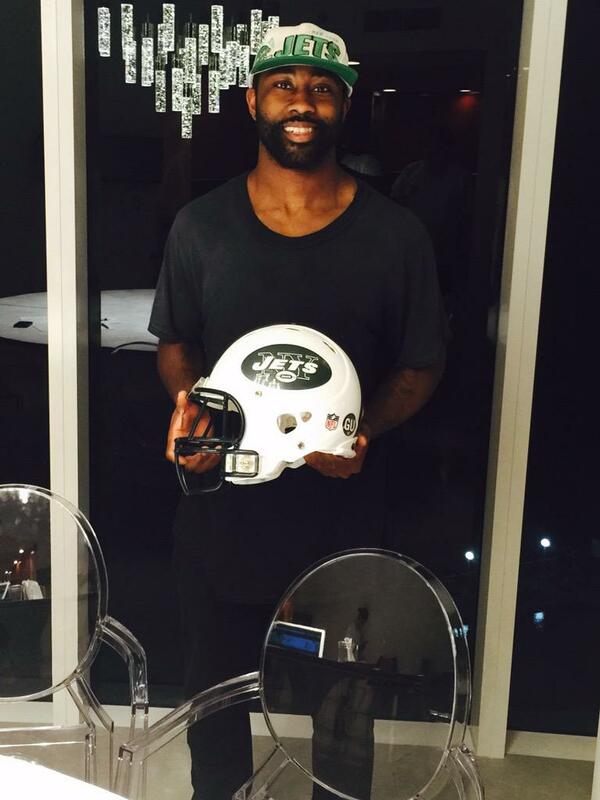 Crazier things like Darrelle Revis returning to the Jets. Welcome (back) to New York, Darrelle. It’s been waiting for you. Although you never delivered the Lombardi Trophy you promised, you made me believe it was always within reach. You once had everyone believing, back before your team’s talent slimmed down faster than your waistline. 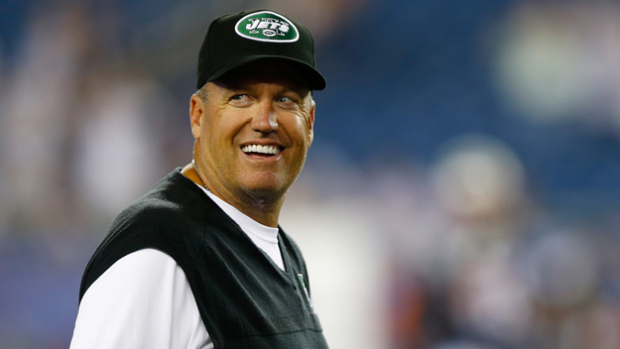 Rex Ryan Has Been The Jets Head Coach Since 2009. Thanks for navigating the Jets to within one game of the Super Bowl. Thanks for giving my perennially stale team a refreshingly colorful, vibrant image. Thanks for your lighthearted press conferences and your Hard Knocks defense. Thanks for making the New York Jets a place where free agents wanted to sign. Thanks for bringing stability to an organization that historically lacks any. Thanks for humanizing the head coach position with your public displays of raw emotion. You were the biggest star in a town filled with them, and for a period of time, you were able to mask the dysfunctional stink that permeates all things Jets Football. Most importantly, thanks for making the Jets relevant and credible. Before your bombastic arrival, the Jets had no personality and no hope. They were a “little brother” franchise, stuck playing in someone else’s building. You made the media laugh and opposing quarterbacks cry. From your players, you demanded maximum effort and commanded ultimate respect. You gave Jets fans hope, even when ownership and the front office gave you none. Over this past miserable year, you lost your bravado, a ton of games, and most likely, your job. Management set you up to fail, and ultimately, that’s exactly what you did. However, you don’t escape all culpability. Along the way, you had your own faults too. Everybody does, though. Should you lose your “dream job” for it? It’s debatable. It’s possible your act has just run its course in New York. It could simply just be time to move on. If so, the Jets willingly let go of a brilliant defensive mind. They’ll fire one of the most competitive and confident men in the game, and someone who is adored by his players. They’ll say goodbye to the man who brought the Jets as close to a Super Bowl as anyone since Weeb. I’m not angry. Really! I’m not. No, I’ve long accepted that I root for a team allergic to success. I believe it’s the final stage of coping with your team’s inadequacies. I’m a life-long Jets fan and season ticket holder, but my Football Sundays are no longer filled with anticipation, pageantry, or hope. I just go through the motions, devoid of any passion. You know, sort of like your Head Coach during press conferences these days. I don’t blame Rex though. No, I’d probably be relegated to a comatose puppet too if I had an incapable GM pulling all my strings. I can only imagine how difficult Rex’s job must be after his best player was traded, his franchise quarterback was bamboozled, his personality was muzzled and defense was handcuffed without the necessary tools to succeed. Phil Jackson has the Knicks running “The Triangle” offense. Rex is forced to run “The Circle” defense. He’s right. It’s a bad joke. The punch line is a punch to the gut each Sunday. The other thirty-one teams are the ones laughing too. They look at your inept, incompetent, impossibly ineffective franchise and can’t help but giggle. Not long ago, you were the one chuckling…all the way to two consecutive AFC Championship Games. Back then, your coach was cocky, your quarterback showed promise, and your fan base believed success was inevitable. Now, we look on in horror as flames slowly burn through your wretched green and white dumpster fire. It’s ok though! I’m not mad. I’ve moved well beyond any feelings of fury. Instead, I’ll robotically meander through the next three weeks of meaningless football with the expectation that this offseason, you’ll emerge from your season long hibernation and finally get things right. His team is 2-11. So is yours. That’s ok, though, Woody. Really! I know you’ll address fans when you’re ready. You can take your time. No problem. I’ll be patient, because, I know you’ll finally stop chasing dollars and headlines and go chase that Lombardi Trophy after this kind of a season. Your political agenda should probably take a backseat too. Maybe consider spending less time with Mitt Romney and more time with people who know a little bit about football. It might lead to more victories…you know, if that sort of thing is important to you. Unfortunately, the man on your staff who knows the most about football will most likely be the one to fall on the sword. Like Mark Sanchez before him, you’ve created an environment so toxic for Rex, it’s best he just moves on to succeed somewhere else – a place where he’ll receive the support he needs and can be his bombastic self again. Speaking of support, it’s time to stop giving it to your General Manager. Filling your roster with talent and your stadium with fans should be the priority, not filling your wallet with unused cap money. Take this opportunity to start fresh. Bring in a credible, football-minded GM to make smart football decisions. I mean, you do own a football team, right? After you’ve replaced your GM and Head Coach, please go find a real franchise quarterback. Go get a Duck, instead of somebody who throws them. Do whatever it takes to outfit Marcus Mariota in green and white. The kid is special. He’s professional, polished, confident and exciting. He’s everything your current team is not! He could be the face of your franchise for the next decade. Those three moves – GM, Coach, QB – should be where you start. If you finally make the right football decisions in those three essential areas, it should provide enough deodorant to mask the stink surrounding your franchise these past few years. Also, moving forward, try not to “Play like a Jet.” Play like someone else. Someone who wins! Also, no more “Jet decisions.” Make smart decisions! Football-minded decisions! Decisions that are in the best interest of winning football games. Football-minded moves like these will again fill my Sunday afternoons with hope and begin to dispel any feelings of indifference. I want the Jets to matter again…matter the way they did when Rex first blew into town and made your franchise relevant again! Change the losing culture around your team, and your fan base. All fans can do is laugh. Let’s shoot for fewer punch lines. Keep your players happy. Keep your fan base happy. Keep your team’s momentum going. Earlier this month, you admitted you were “pretty happy with the way things were going.” Here’s your opportunity to keep them moving in the right direction. 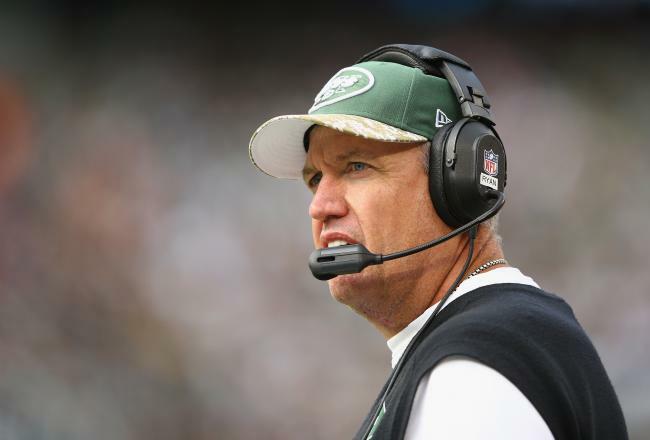 Back in January 2013, when formally announcing Rex would stay on as coach for the upcoming season, you gushed: “…Rex Ryan is perfect for the New York Jets….I’m totally happy with Rex as head coach…I think it’s going to produce something really good.” If anything, the last 12 months of Rex should have reinforced these positive feelings of yours. You love making headlines. You also love money and politics. Time to finally show Jets fans you love winning football games too. I implore you to act in the best interest of your football team here. There’s no one better suited to lead this team than the man you already have in place. If you don’t want him, another team will snap him up faster than Santonio Holmes can walk out on the media. I’m a life-long Jets fan, and season ticket holder, and like most, I struggle to think of any justifiable reason to let Rex Ryan go. He keeps your team relevant, his players believe in him, and he clearly gets the most out of the talent he works with. This season, you sent Chef Ryan into the kitchen with ground beef and asked him to prepare a filet mignon. With a rookie quarterback and a roster loaded with less talent than a Kardashian, he was still able to cook up a 7-8 record with one game to play. It’s a mark that tastes pretty good to Jets fans who expected a sour season from the start. Don’t let the 2013 season come off as a charade. Ryan has done enough to warrant an extension. Anything less would reek of predetermined peddling behind closed doors. John Idzik believes in competition. No one competed harder for his job than Rex Ryan this year. Over the last two years, he’s won with no-name players and risen above unnamed sources. He outlasted the circus, yet, you would be a real clown if you let go of Rex now. Your players want him back. Your fans want him back. Don’t take a step backwards here. Keep things moving in the right direction. He’s won 5 out of 11 games with a bunch of turkeys. Coach of the Year consideration too. You think his paltry crop of receivers have bad hands? Look at the one Rex Ryan was dealt this season. Rex Ryan has the Jets in contention on Thanksgiving. These days, his team’s roster of talent is slimmer than he is. He reports to a new general manager, is forced to start a new quarterback, and could be looking for a new job at season’s end – a move predetermined by management. 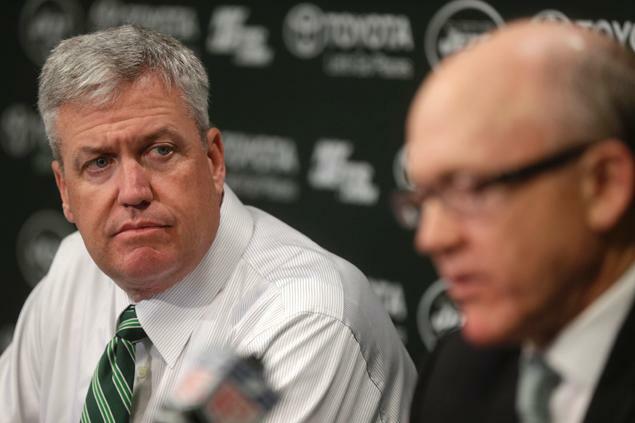 He lost his bravado when John Idzik arrived. He lost his best player when Darrelle Revis departed. His secondary regularly gets carved up like a Thanksgiving Turkey. His team was picked dead last in ESPN’s preseason rankings and there was no indication things would turn out differently than predicted. When everyone else gave up on his team, and his coaching abilities, he stayed the course. Ryan has overcome the odds, outlasted the “Three T’s” (Turmoil, Tannenbaum and Tebow), and miraculously won 5 of 11 games. Despite horrific performances the last two weeks, he still has this feeble Jets roster in playoff contention on Thanksgiving. To his credit, his players continue to play hard for him and he continues to get the most he can out of what he has to work with. Ordinarily, a 5-6 record should not be celebrated. Yet, for these New York Jets, who many expected to flock among the NFL’s biggest turkeys, it’s something to be thankful for.